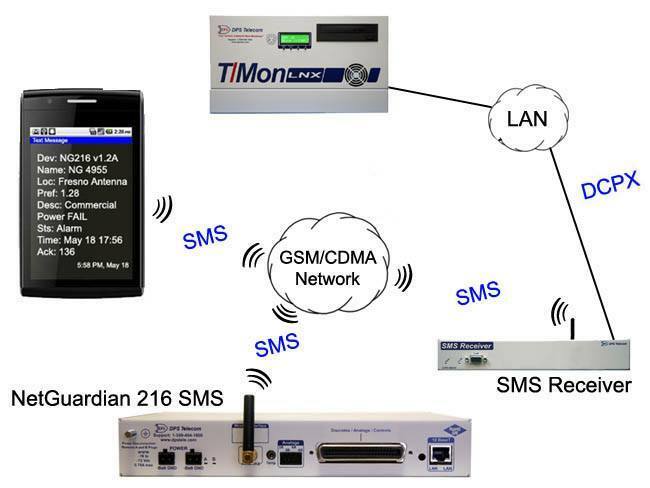 Benefits of a GSM Modem. The compact Netguardian 216 g3 packs a wireless modem option in a small size, perfect for small to medium remote sites. The NetGuardian 216 G3 optional GPRS/GSM or CDMA wireless modem, allowing you to report alarms from your remote sites without LAN or dialup connections via SMS notifications over a cellular band. This allows you to take your alarm monitoring outside of your network and have the flexibilty to report to a central location such as a T/Mon Master Station. This new NetGuardian 216 G3 can also quadruple the analog inputs of its predecessor. Now that you can choose up to 8 analogs, you can monitor temperature, humidity, battery voltages, fuel levels, and other critical values from a single compact RTU. The other major feature of the G3 that's superior to the G2 is standard web browser access, which offers intuitive monitoring for technicians without extensive training. This is the client-favorite web interface that's become a standard part of modern DPS remotes. Your techs simply type the IP address of the NetGuardian into their web browser and login. They'll have access to all current alarms, real-time analog values, and a handy editing interface for adjusting RTU settings. It's 9:36 PM on Thursday at our Fresno, CA, USA headquarters. It's late in the day, but we promise to start on your quote first thing in the morning.